Every guitar project eventually hits a snag. Yesterday I hit one, big time. 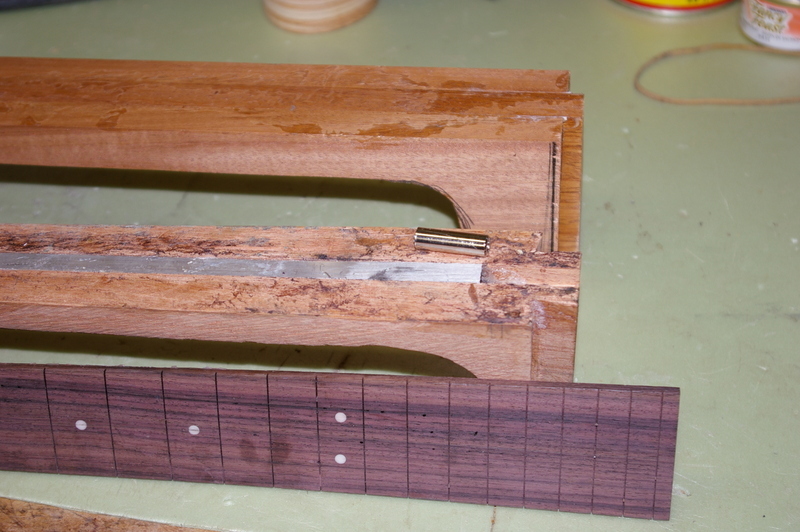 While I was attempting to put back bow on the neck I exerted too much torque and snapped off the threaded end of the truss rod. I was following instructions but somehow the neck was either too stiff to bend, or there was something else wrong. In any case I won’t be doing that again. This truss rod comes with instructions to glue it into the channel with epoxy. In my view all this did was prevent the thing from bowing. Other suppliers indicate that some builders do not glue this rod in. I may go that direction next. My supplier is sending a new rod, but the neck and all the work that has gone into it is now wasted. This is most annoying because I had the neck joint fitted perfectly. This involved lots of chiseling, filing and sanding, and a multitude of checking for proper angles both vertically and horizontally. In the meantime I have begun a new neck by cutting up another mahogany 1×4 board, band sawing and gluing up three more pieces. My first reaction was to glue on the fingerboard and try it with the truss rod as is, whereby it would be at least a passive reinforcement. 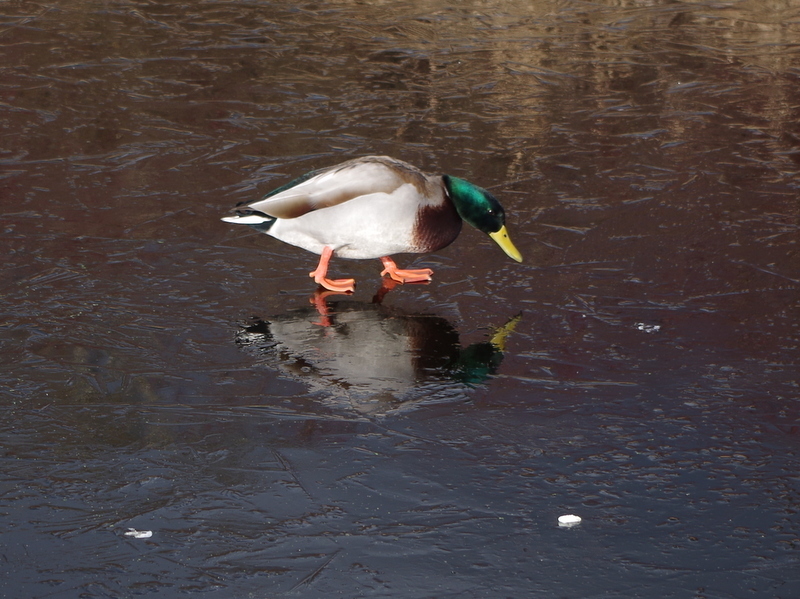 But then this morning I reconsidered. So I removed the fingerboard with the aid of a heat lamp and some steel scrapers. I still don’t have the answer as to why this thing didn’t bend in the first place. Plus I am not confident that this particular truss rod is the best quality. I may go to a different source for a better one, i.e. one made in Japan. My supplier does not say who makes their truss rods. Form your own conclusions. But other work is progressing. Today I bent the bindings on the hot pipe. There are four pieces, made of rosewood with white/black/white pinstripe laminations on the bottom edge. I then taped them to the binding channel that was previously cut, and let them dry in place. Later I applied glue and taped them on. I use lots of tape to ensure that the binding is pressed tight into the channel. One particular place that is often problematic is at the waist of the back, because here the binding channel takes a bend downwards. 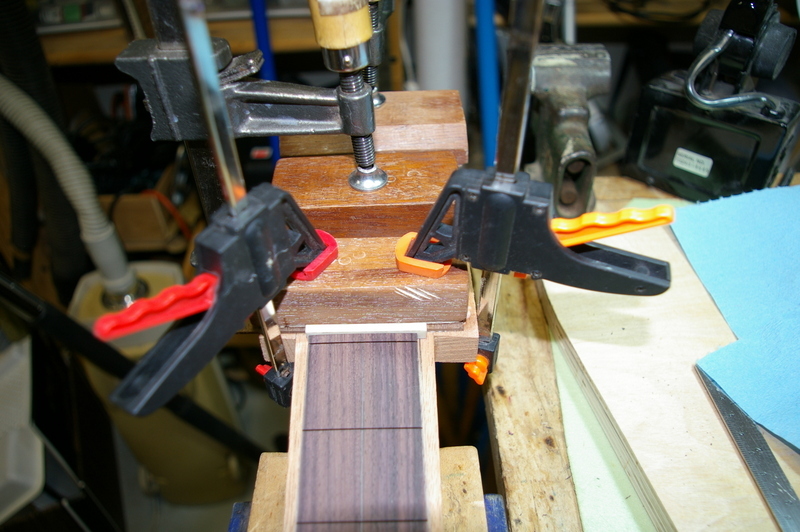 The twist induced causes the binding to want to pull away from the guitar. So I added a heavy duty clamp to force it into place. Once one side of the back is dry I will do the other side. A final note, but not about guitars. 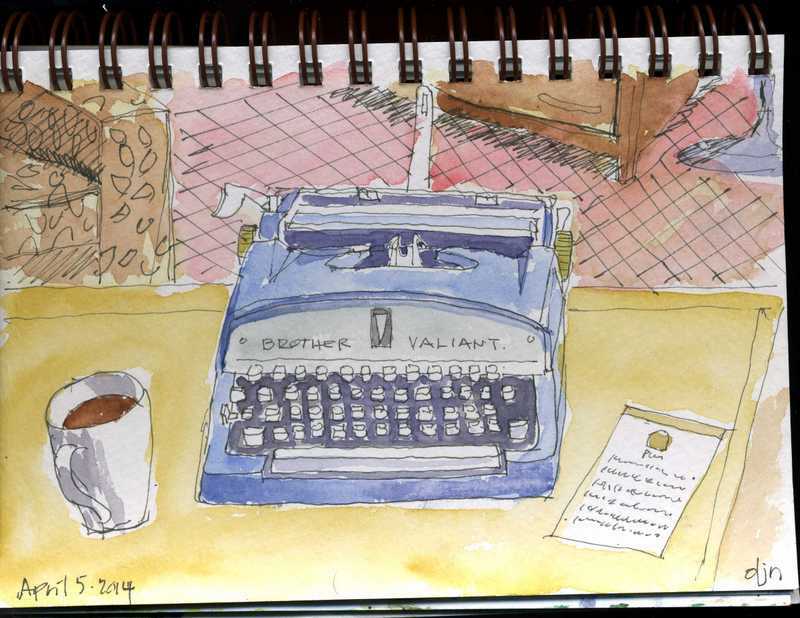 Above you see a Hermes 3000 typewriter. This was given to me by my brother & sister in law for Christmas. It belonged to the late father of my brother in law. 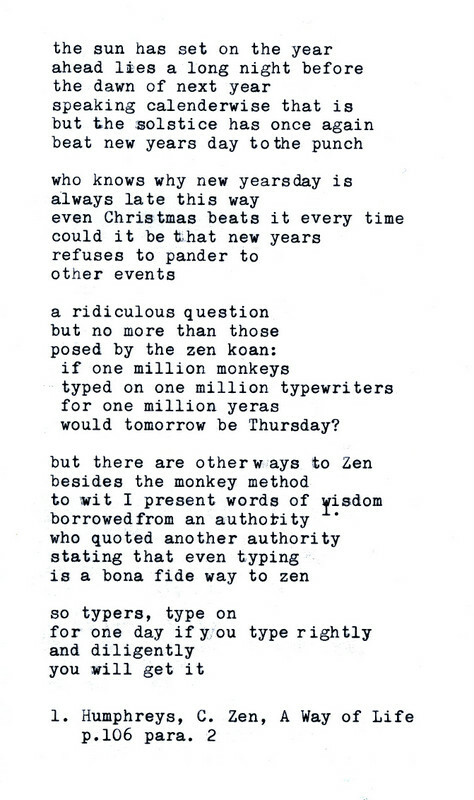 I have to extol this machine as probably the finest typewriter ever made. I’m not saying that it’s everyone’s favorite, but I guarantee that if you have a look inside at the works you will see a true wonder of the finest precision Swiss engineering and manufacturing. I’m keeping it close at hand as inspiration while I build this guitar. It is a reminder of the meaning of quality. Since last time a lot of work has been done. First thing was I dimensioned the neck. Most of this was done on the belt sander. With a heavy grit belt I let the machine grind away a lot of excess wood. 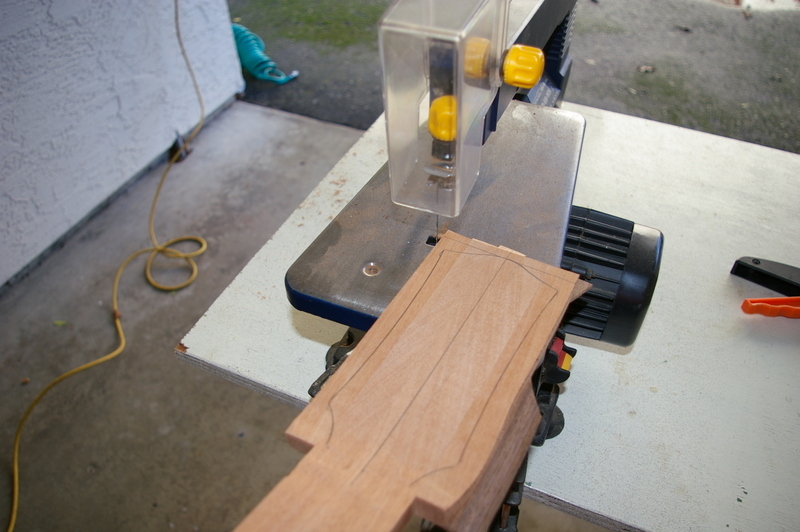 Slowly but surely I got close to the final thickness of the neck and the headstock. I then glued on the head plate veneer, and rough cut the head profile. 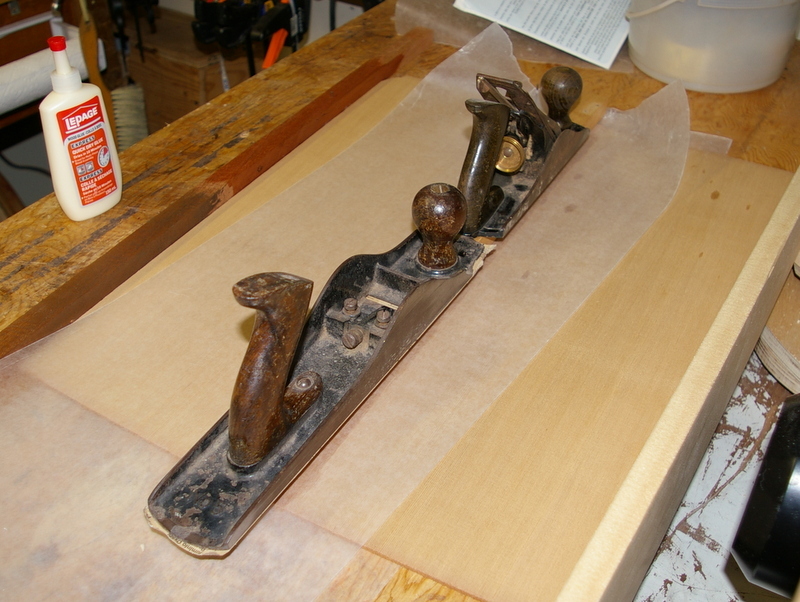 But before all this I had to plane the fingerboard to the proper width. Two dimensions here are critical: the width at the nut (fret 0) and at the body joint (fret 14). I use fairly common widths of 44 and 55mm respectively. 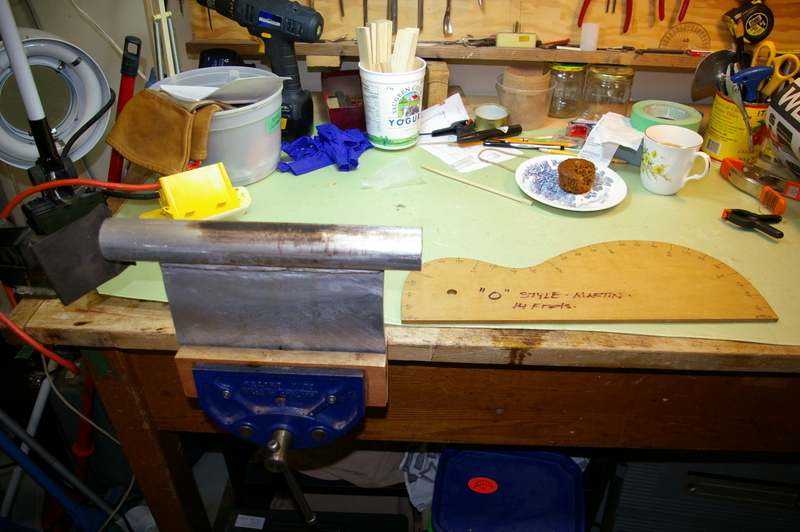 It’s critical to get the neck taper perfect so I do it very slowly and carefully. It also must be symmetrical about the centre line. 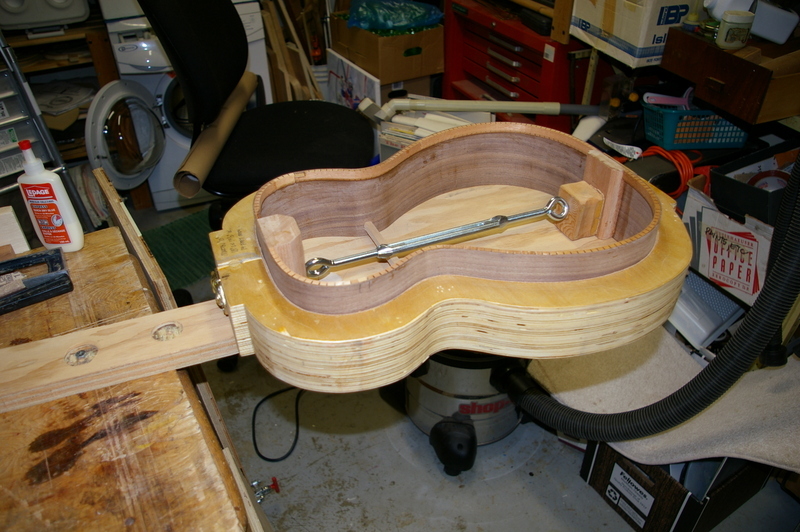 Once the fingerboard was the right width I positioned it on the neck and clamped it in place. Then I put the bone nut where it goes, loosely, and finally glued on the head plate veneer. 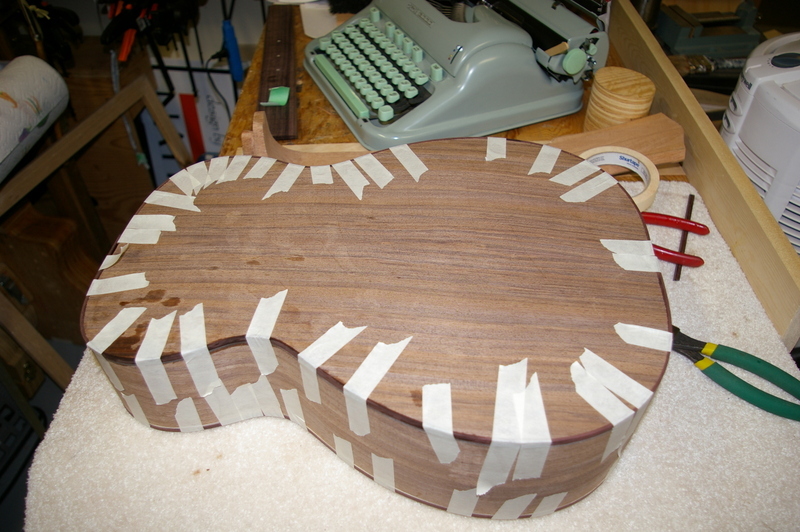 The head plate veneer is a thin walnut piece left over from the back plate. I let the veneer glue set for a while and proceeded to the body. I had previously glued on the back, which is very much the same process as the top, seen on earlier posts. I trimmed off the excess overhanging wood with a hand saw first and then a router. Cutting the binding channels was next. 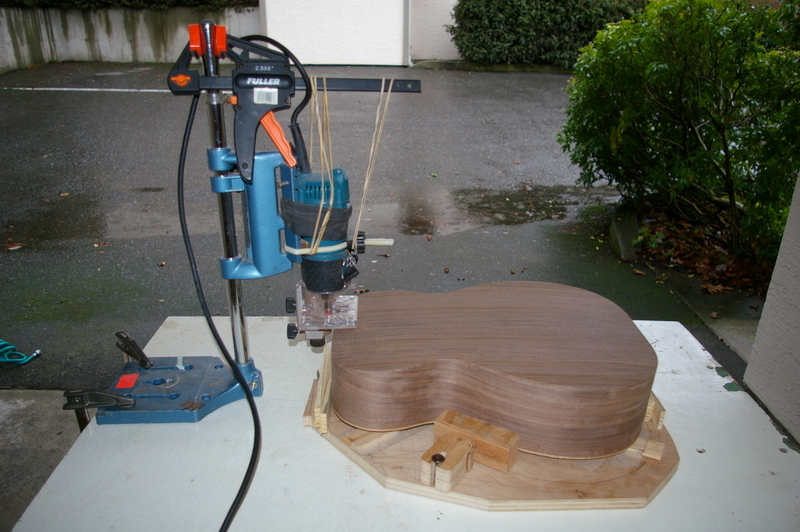 For this I have a jig made up of a laminate trimmer (small router) in a “drill press”. The drill press is one of those things made for a hand drill. I converted/modified it to hold the router. The carrier slides on a vertical pipe. 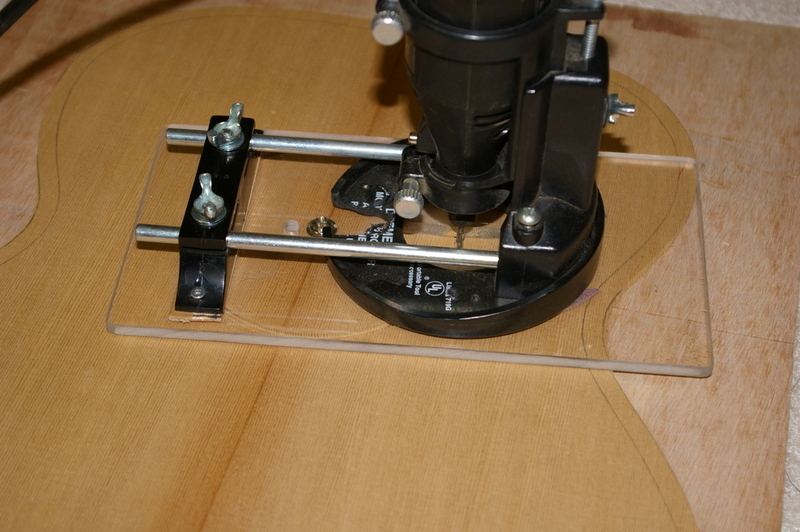 I use a few elastic bands to reduce the weight of the whole moving section, so that it doesn’t rest too heavily on the guitar and make grooves in the top plate. The router has a built in bearing for the width of cut, and has a moveable plate to set the depth. Once set and tested on a scrap piece it’s time to route. I have a “sled” for the body, which is a piece of plywood that holds the body steady and more or less level. This is fed into the router. I cut channels in the back and the top and moved on to the next major routing event – cutting the female neck joint cavity in the body. Out comes the dovetail jig unit, this time with the body template. This is a piece of acrylic with the cavity shape in it. It gets nailed with tiny brads to the body. 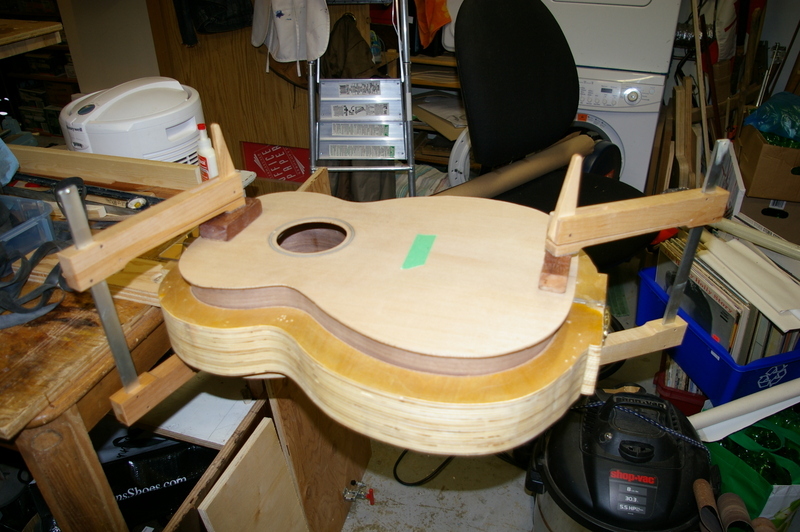 The holes will not be seen once the neck is installed. This is a very precise procedure. All measurements and angles are checked two or three times. The routing takes only a few seconds however. This time it worked perfectly. 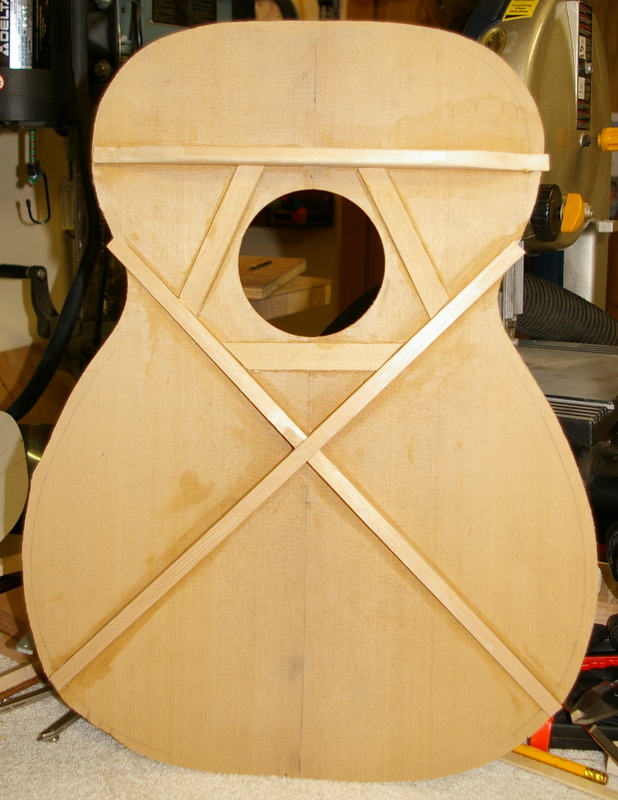 The neck fit quite tightly into the cavity. Later it will be final fitted, but for now I’m pleased with the initial cut. Best wishes from the management and staff here at Nathanguitars. I have given them the day off since I won’t be here to supervise. Cratchit was most grateful. After bending the ribs I had to trim them to length and fit them into the mold. The mating ends have to match perfectly so the seams are tight and the ribs remain in the same plane. Once all is measured and dry fit the interior blocks are glued in. I did this one at a time. Notice that the ribs are spread. They require a bit of force to push them to the inner faces of the mold, not much but enough to keep everything square. 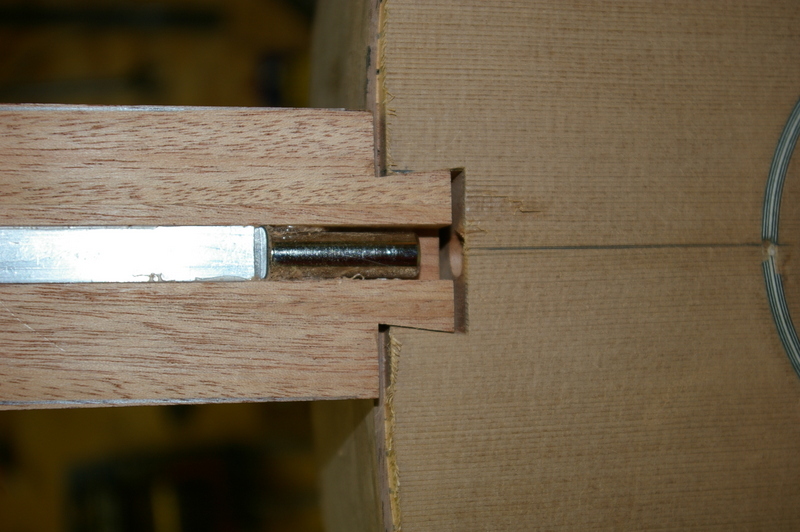 It always takes a few tries and some checking to ensure that this step keeps the ribs from tilting off plane. Next I glued the linings onto the edge that will be the top. They are glued a trifle proud of the edge and afterwards planed to level. Once this was done I dry fit the top. 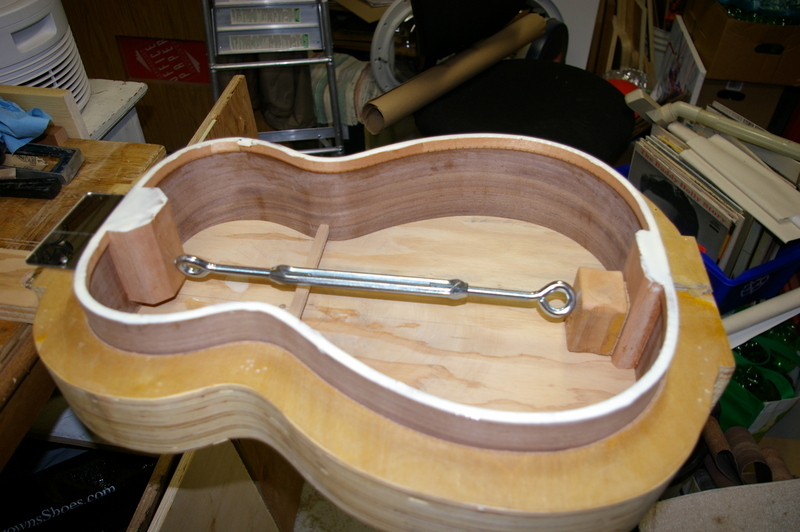 The main objective here is to have the top fit tight to the ribs without obvious gaps. 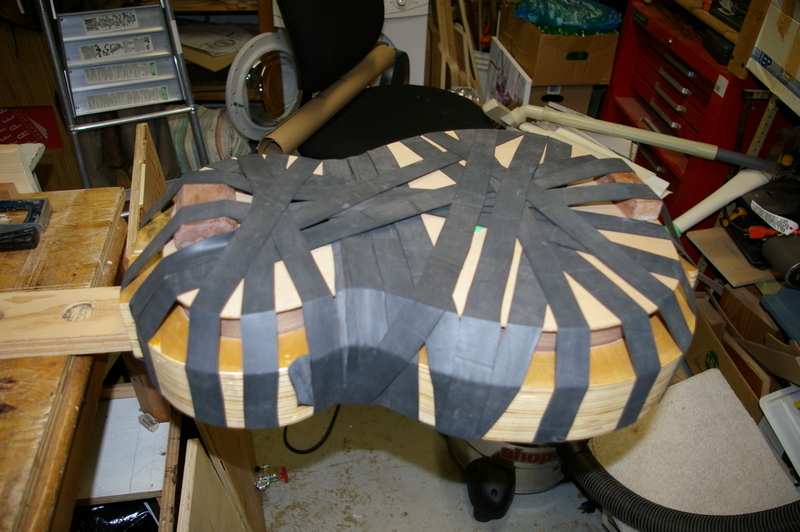 Once that was ready it was time for the next big step – attaching the top to the ribs. 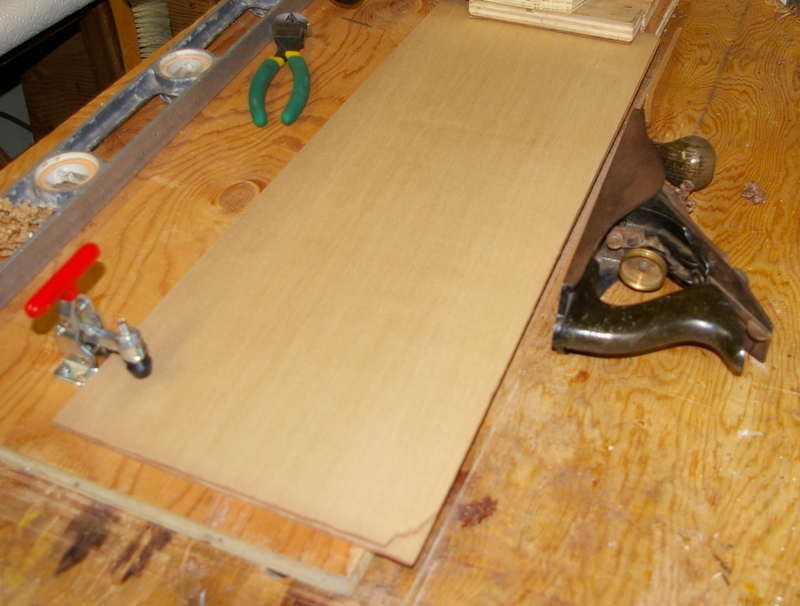 I use a cantilevered workboard, which is a piece of plywood in the shape of the mold. The mold sits on this, and the top will be attached and roped into place. Once it looks like everything is fitting together perfectly it’s time to glue. 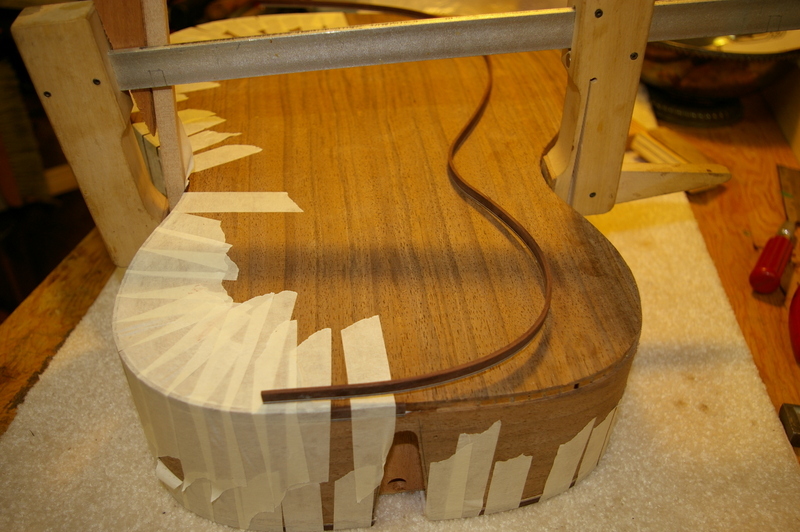 With the ribs and mold sitting on the cantilevered workboard I apply glue to the linings and clamp the neck end down. The main thing now is to be sure the top is centered on the ribs. Of course I have made some pencil lines for this, but once the glue begins to grab you don’t have very long to make adjustments. There is a lot of surface area here and the glue starts to hold quite rapidly. Having dry fit the whole thing several times it makes the process a lot smoother. After first clamping the two ends it’s time to rope. Roping is an old term from the days when they actually tied the tops on with rope. I use a giant rubber strip, which is simply a long piece of inner tube made from a truck tire. It’s one inch wide and very long. 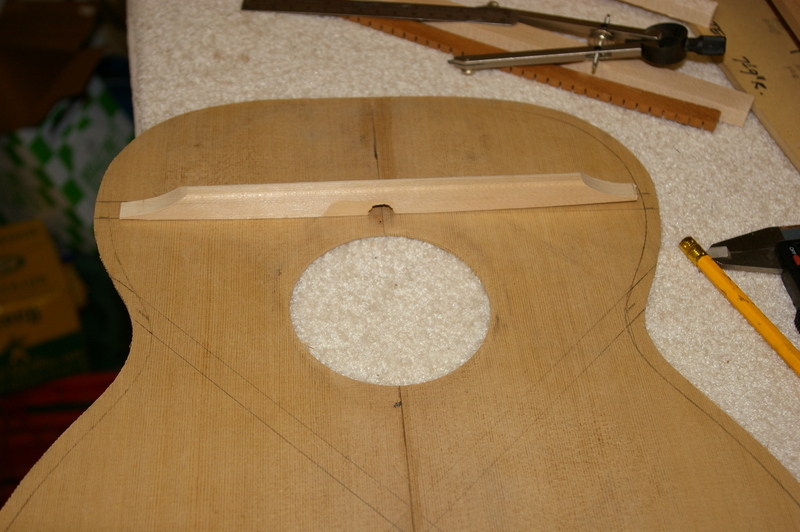 I start at the waist, because this area also has to be bent down to contact the ribs, due to the arch in the top plate. It goes down easily, as the top is fairly flexible at this location, having no bracing there. Once it’s all roped up the job is done. I’ll leave it a good few hours just to be sure it holds well. 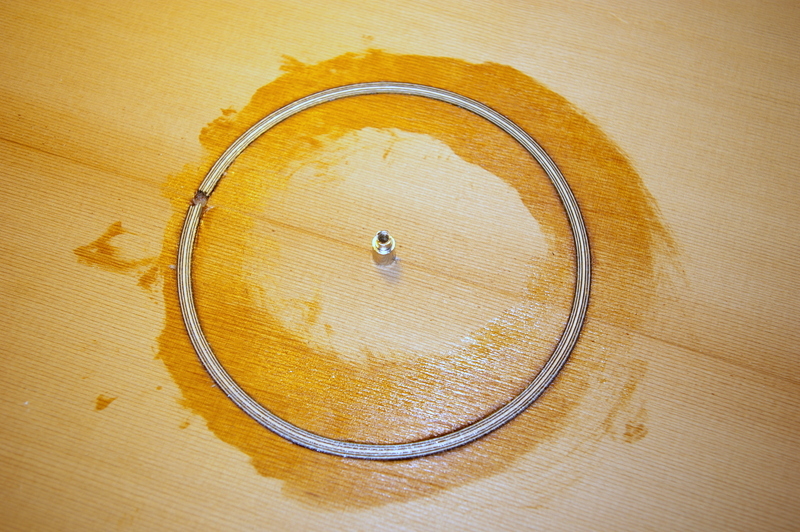 Note that I removed the clamps at the ends once the roping was underway and the top was stabilized in place. 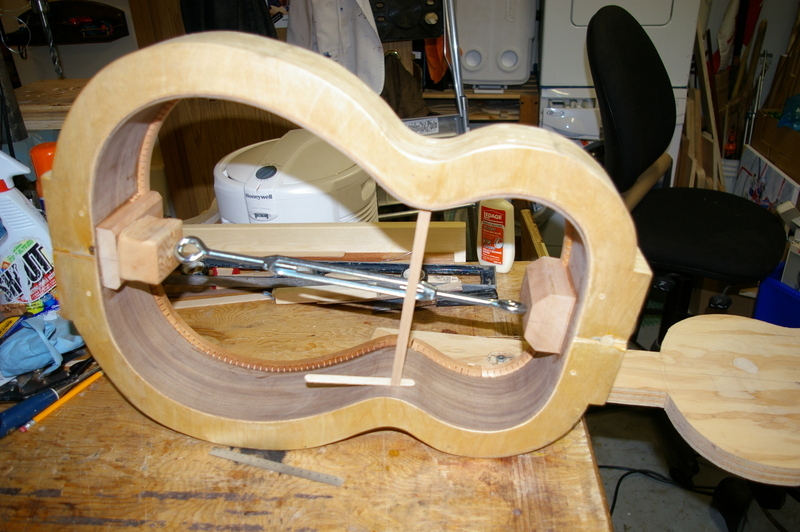 My top bracing for this guitar is arched. There are only 3 major braces. The transverse one at the top is for strength mainly, so it is 19mm high. It has a hole in it for accessing the truss rod adjustment. The main X-brace is smaller, and tapered down to zero at the ends. This is where the sound is produced, so it has to be a balance between strength and flexibility. 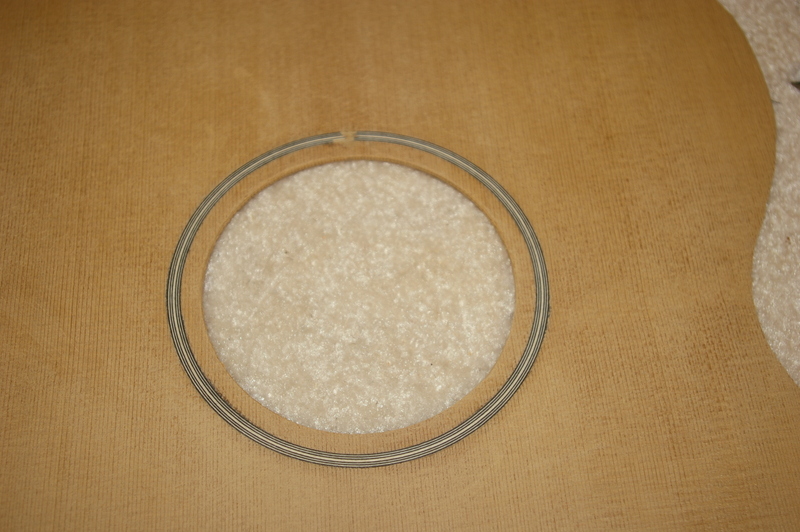 The three pieces around the sound hole are off cuts from the top, thin pieces to strengthen the area of the hole against possible breaks. I also did some spectrum analysis of the plates, using the computer. I hold up a plate to a microphone and give it a dozen taps with a felt covered hammer, similar to a piano hammer. I use a free program called Audacity for this. 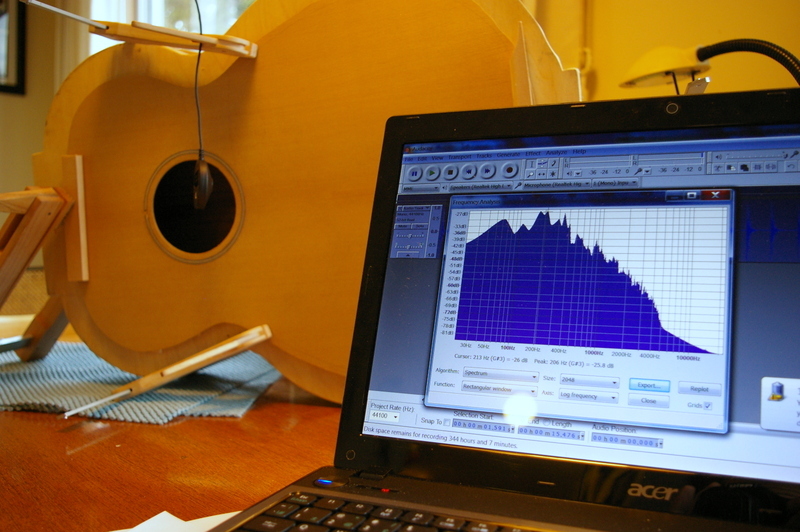 It has a function to analyze the spectrum of a recording. This shows me a graph (logarithmic) which gives an idea of the peaks and relative strengths of various frequencies. There’s a lot of unsubstantiated hokum around tap tuning, but I do this more out of curiousity than anything. Then I export the results to a text file, import this to Excel, and then generate a graph. This will show me the dynamic range. I then plot a trendline which gives a better overview of the response. But after all is said and done I shave the braces until it sounds good, and is still stiff enough. Better to stop before it’s too late. 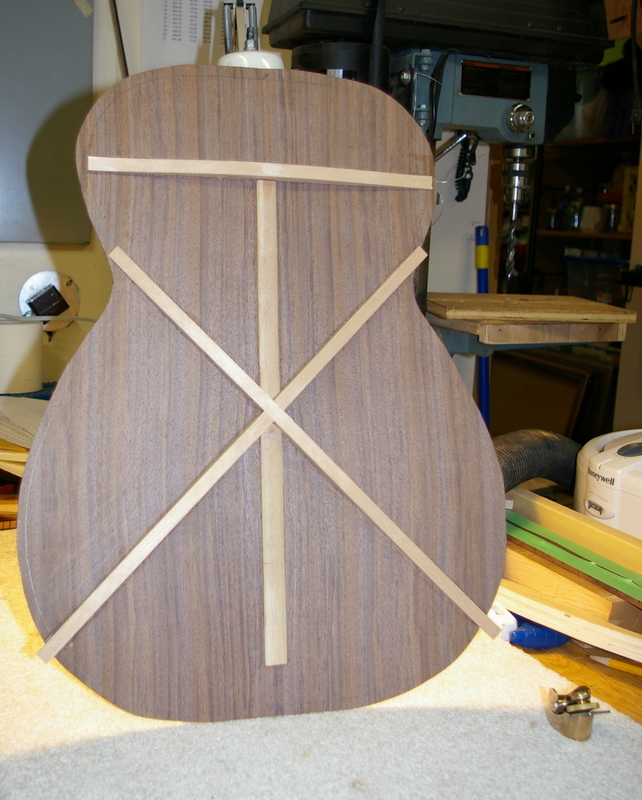 The top has to support the strings or it’s all over, structurally speaking. I’ve also done the back. I shaved the braces to drop the fundamental frequency as low as I dared. The back however, unlike the top, doesn’t carry any downward pressure, so the braces can be lighter. Hardwoods are always lower in tone than softwoods, simply due to their density. This back plate is several whole tones lower than the top plate. The bracing design is identical to the top, same arching, same locations. The back braces do not taper to zero however. They are let into the linings at the perimeter. 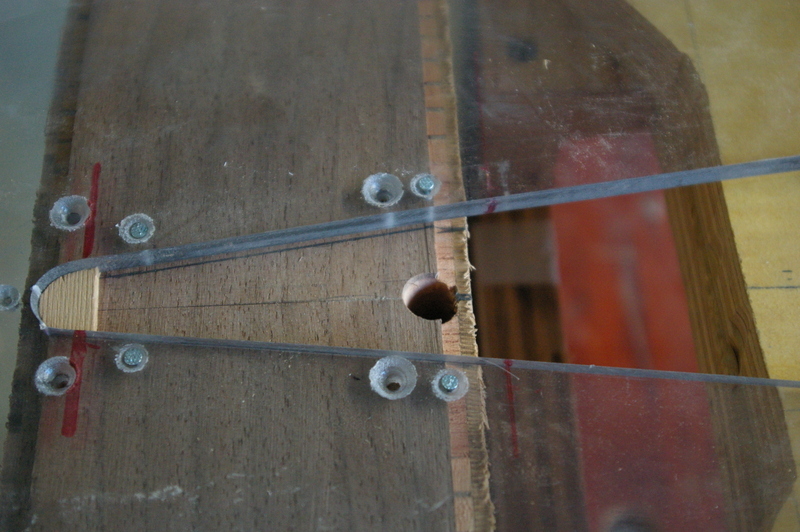 The centre strip is merely a precaution to reinforce the centre joint. Many guitars do not have this, but it doesn’t affect the sound so I put it in. Once the plates were done I bent the sides (ribs). I made a template from thin MDF, and marked off 25mm hash marks on it. Then I marked the sides with a yellow pencil at 25mm spacings, and labelled them. This helps immensely with bending. 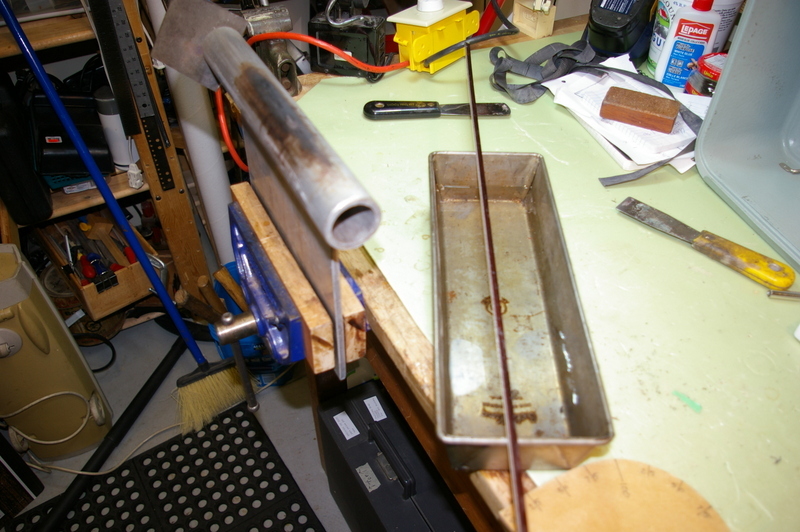 I have the bending pipe clamped in the vise and an old BBQ lighter which has been squeezed when hot, shoved inside the pipe. This is controlled by a light dimmer. Full power would be much too hot. I run it around 50-60%. 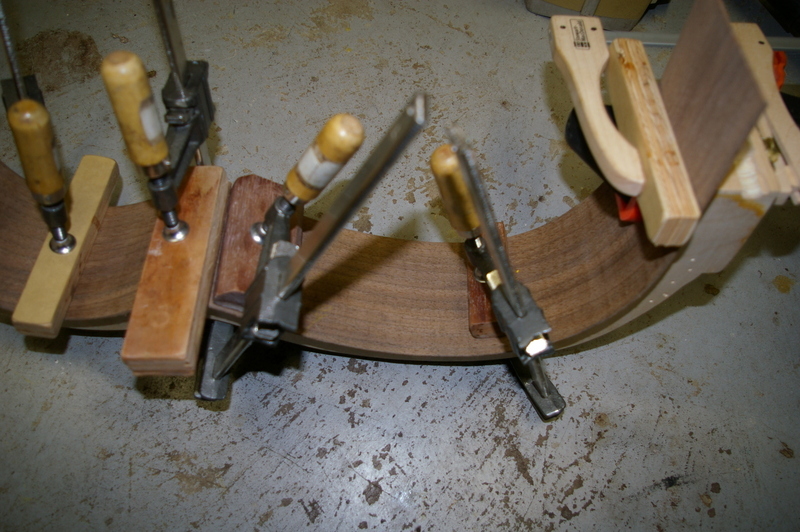 The bending is not hard once you get a feel for the wood. It takes patience, however. This guitar is made of Black Walnut, which bends very well. Some wood is horrible to bend, like Paduak. Once each side is bent to the profile of the template within 2-3mm tolerance, it gets clamped into one half of the mold. The mold splits in two for this purpose. The sides are bent wet, and the steam generated by contact with the pipe softens the wood so it bends. I use a spray bottle to keep the wood wet. It dries out very fast once in contact with the pipe. The post office delivered the wood on Sunday. Only at Christmas time. So I got to work and joined the top and back plates. For this I use a jig known as a shooting board. I find it hit and miss, but eventually with enough planing and sanding with a long straight edge the two pieces matched. To test if they do in fact match, you only have to hold them up to a bright light, edges together. Any defects will shine through. After I joined the plates I tackled some other sundry tasks. 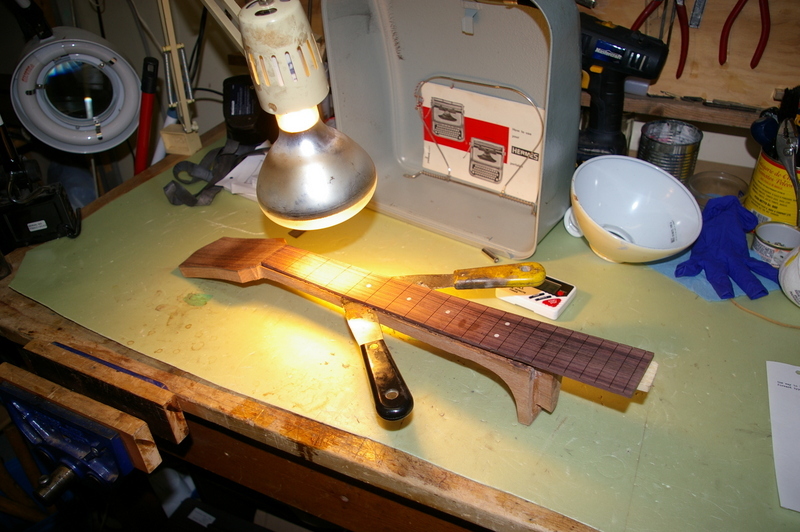 One was to put the neck dots in the fingerboard. This is done by drilling holes and stuffing in round plastic rod. The plastic is immersed in acetone for 30 seconds, during which time it begins to dissolve on the outside. Then you push it into the holed and snip it off. Later when it hardens up again it will be sanded down flush. 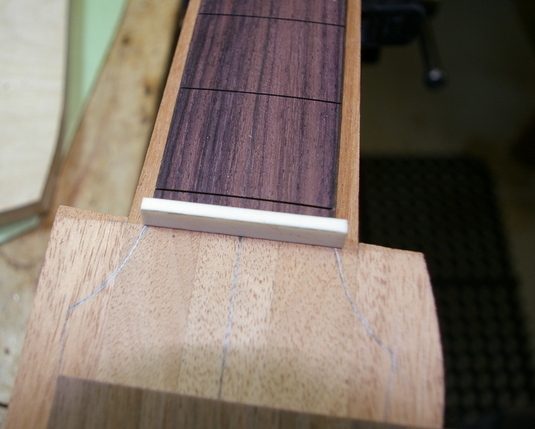 After this I marked and trimmed the fingerboard to a rough taper, with an extra millimeter on each edge. Back to the sound board: next step is cutting the channel for the rosette. This rosette is simple, just four 3ply black and white laminated strips sandwiched together. I have a jig for this, comprised of my Dremel tool, a special base plate and a plywood base with a steel post in it. 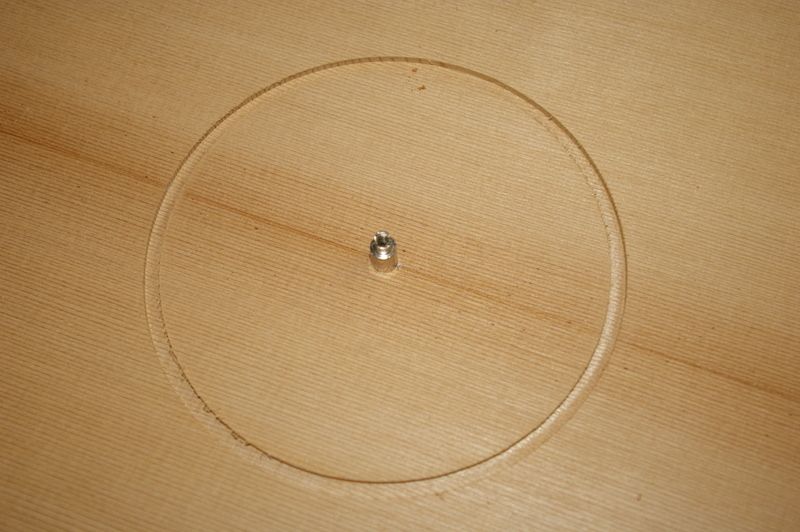 The channel diameter is set and then cut with a down-cutting spiral bit. I had to make two cuts to get the correct width for the laminated purfling. Then I tapped the 4 plies into the channel which was pre-filled with thick super glue. The purfling was pre-fit and cut dry beforehand of course. 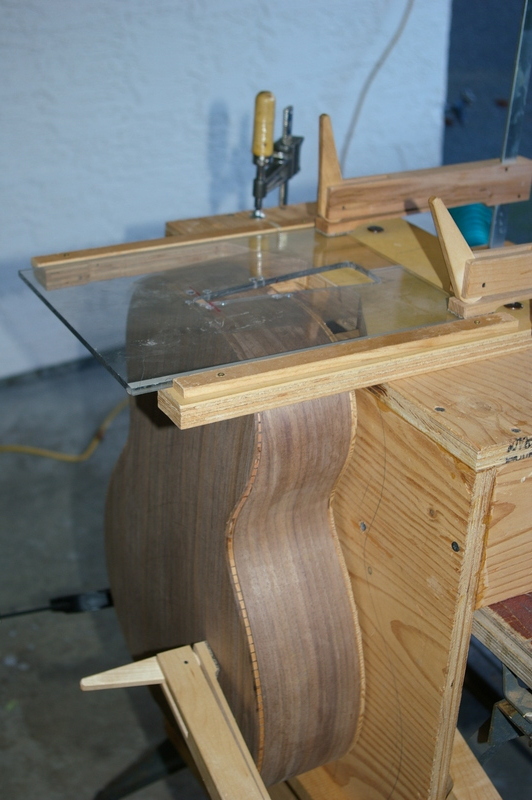 A while later when this was all dry I put the top back on the plywood base and cut out the sound hole. First I cut halfway through on one side, then flipped the piece and cut through the other side. I also sawed up some brace stock from a nice piece of kd hemlock trim I bought for this purpose. It was already 10mm thick, so I simply ran it through the band saw to get the height I needed. I rough sawed them to 17mm. Next step was to draft the curve of the top onto the braces. This design calls for only three braces; the upper face brace which is at the end of the fingerboard, and the main X-brace. I have a curved template for this. I then use the bench sander to grind off the bulk of the wood, then switch to the disc for finishing. With a little practice you can get a perfectly smooth curve this way. All three braces use the same curve, which provides the dome in the top. This dome in turn provides the strength to carry the force of the strings on the bridge.